Five years after sending a man to jail for the murder of her father and fiancé, Diana returns home to find that he has escaped from prison and has come to confront her. However, the man has not come for revenge, but rather wants her to understand that she put an innocent man away. Captive in her own home, Diana is resistant – she knows what she witnessed the night of the murder. 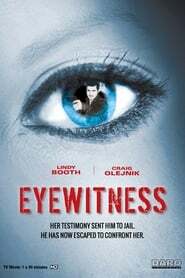 But as time progresses, Diana starts to question what she saw that night as well as her own testimony. Mr. Whicher is hired by former Home Secretary Sir Edward Shore to investigate the violent threats made against his son Charles, who has recently returned from India with his family.